The new Nikon D5300 is a rather modest upgrade of the previous D5200 model, with new wi-fi and GPS functions, enhanced video recording, a larger LCD screen, a smaller body and the removal of the optical low-pass filter. D5200 owners probably won't find enough to tempt them to upgrade, but just like its predecessor the D5300 offers a compelling mix of excellent image quality, straight-forward handling and quick performance, all in a light and compact body. The built-in wi-fi and GPS are the pick of the D5300's new features, adding more value to what is already a keenly-priced camera - on all other current Nikon DSLRs you have to purchase optional accessories to add this functionality. You are limited to essentially pairing the D5300 with a smartphone, and the Nikon app is a little basic, but being able to share your images, remotely control the camera and log the GPS data is very compelling. It's difficult to assess how much improvement the removal of the optical low-pass filter has made to the D5300's image quality when using the kit lens - you really need to use some quality primes to see the benefits. Full 1080p HD footage at a range of frame rates, in conjunction with the the larger free-angle LCD screen, is a great feature on what is a relatively cheap DSLR, although full-time auto-focusing in Live View mode continues to be a painfully slow experience and not well-suited to fast-moving subjects. The D5300 still has a few minor handling issues, most notably the positioning of the Live View switch and the secondary controls on the rear, and it could also be seen as being neither simple enough for complete beginners or feature-rich enough for more experienced users. The continued lack of a dedicated ISO button will definitely irk some users though, only being accessible via the customisable Fn button, something that both the previous D5000, D5100 and D5200 models all suffered from, and which should really have been fixed by now. 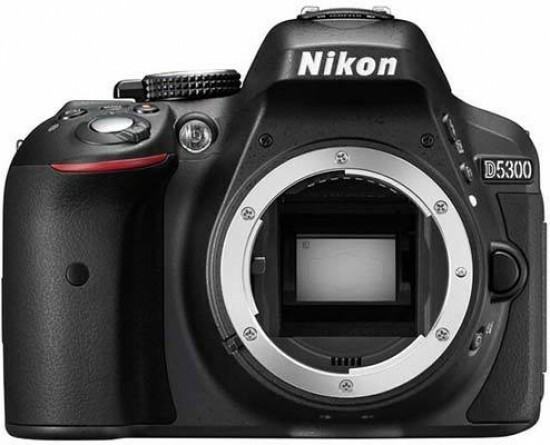 So while the Nikon D5300 doesn't add that many new features to the year-old D5200, what it does add makes it a unique product at the mid-range price-point, offering something genuinely different to the likes of the Canon EOS 650D, Pentax K-5 II and the Sony A65. The combination of a free-angle screen, great video mode, high-quality stills and new connectivity options mean that the Nikon D5300 is a worthy winner of our Highly Recommended award.